So, you’re a trained Administrator, or Plumber, or Travel Agent… but have you thought about a complete change? Do you sometimes wonder if there’s something else you could be doing? Have you considered… working on an Oil Rig? More and more people are turning to the Oil Rigs as a way to get a unique experience – and make a lot of money in the process. Jobs on the rigs tend to operate as such that employees work for a few months – then have a few months off. Completely off work, yet earning more money per year than through a “conventional” job. What’s more, imagine not having to pay rent for half the year? And having another six months to live wherever you please or even travelling the work on your Oil Rig earnings. Most jobs operate by working a pattern of a few months on then a few months off, which makes for a great lifestyle for the traveller. If you want to escape for a while, have an adventure – or even just build up a serious cash reserve, this might be an interesting option to consider. A common perception is that Oil Rig jobs are all physical, but this couldn’t be any further from the truth. Oil Rigs are almost like towns, so the rigs present all sorts of job opportunities for all types of people. Experienced or not, male or female; perhaps this could be just the new opportunity you’ve been looking for? How to Get a Job on an Oil Rig? If you’re interested in exploring working on the rigs, Matthew Cinnamond has produced a fantastic guide to getting a job on an Oil Rig. 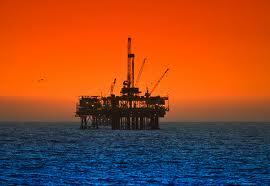 This guide will give you all the insider secrets to ensure you get your dream Oil Rig job. The book is stacked with tips to ensure you find a great Oil Rig job – and will help you to understand what to expect when you start! Have you ever worked on the rigs? Perhaps you do now? I’d love to hear your experiences in the comments below!